So this post has been in the works for a while. Unfortunately life has been a bit crazy the last few weeks, between gardening, work, kids, and well Summer Living, I just kept putting it off, but it really is important to me so here it goes! A friend of mine, the owner of Coopadilly Creations came up with a completely new diaper design that combines the ease of an all in 1 with the washing and drying ease of a pocket diaper. She also was the inventor and creator of the "Knotty Bum" diaper cover, which I got to name! I don't know if these have a name yet but maybe I can offer some suggestions. 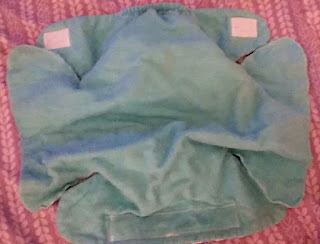 So this as yet unnamed diaper is not out for sale yet but will be available most likely in the Fall, at www.facebook.com/coopadilly. It was however available for testing and evaluation, so when she offered me one, I jumped at the chance to try something new. So without further ado... the hybrid diaper that has stolen my heart. 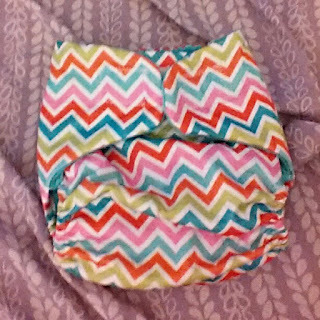 First of all it has this adorable rainbow chevron print! The bright colors and chevron had me hooked from the beginning. 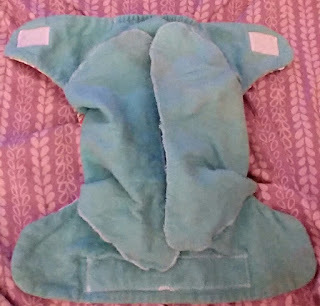 It is PUL so it is waterproof like a pocket diaper. How it works is that it has a liner that actually folds out for faster washing and drying. It also leaves a large opening on the sides though so if you wanted to add a liner, like a pocket. This would be good for heavy overnight wetters. The opening also allows for quicker and easier washing and drying. 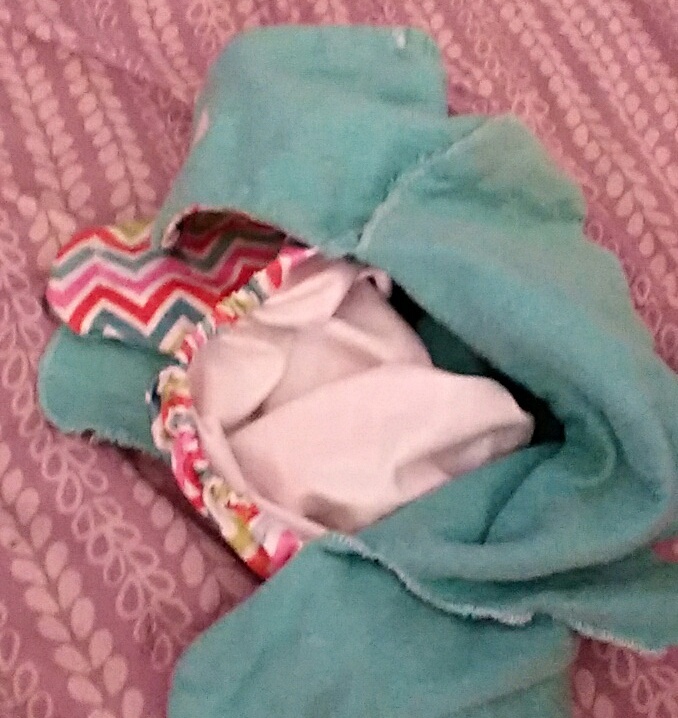 So when you have your washed and dried diaper you simply fold in the sides like so and put it on your baby. So here are my overall thoughts. My toddler wore this a minimum of 5 times before I would write this post. 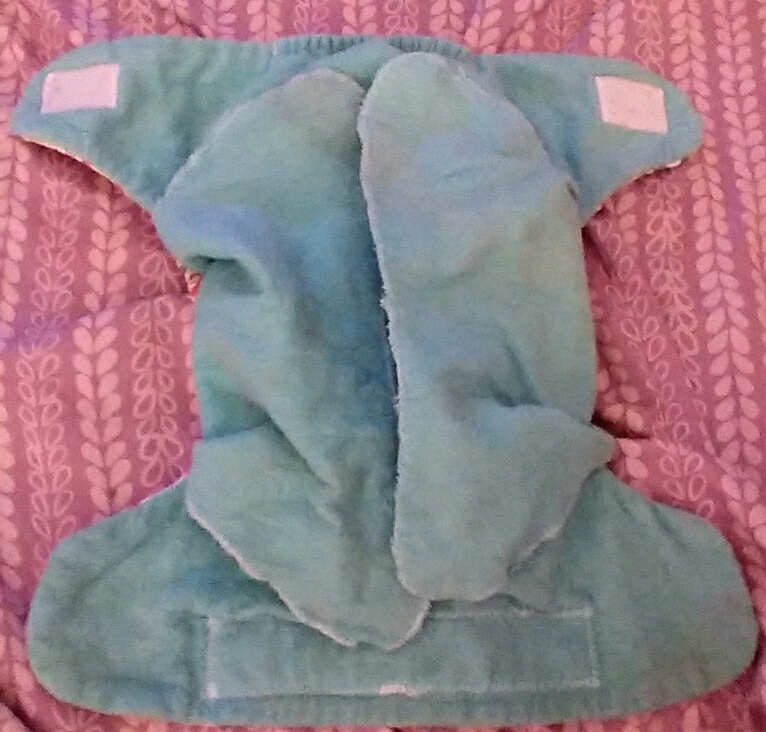 Overall I found this diaper ridiculously easy to use, super easy to wash, quick drying, and very absorbent, with no leaks. If I had any complaints at all it would be that it's velcro and not snaps, but the full strip of velcro on the waist did really help sizing. Honestly Coopadilly Creations is really onto something with this diaper. If I had it to do over, I might buy all this style for my diaper stash. So head over to Coopadilly Creations for this one of a kind revolutionary diaper.